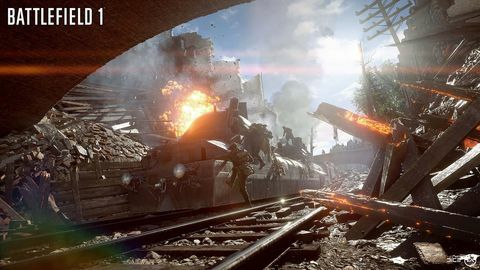 Matt chats Battlefield 1 with senior producer Aleksander Grondal. Q: When was the decision made to make a WWI game? Aleksander Grondal: When we came out of Battlefield 4, we took a little break and thought, ‘Where do we go from here?’ What was clear was that we really wanted to create something that was new and unique – that had some new and unique gameplay opportunities. Parallel to that, there was this idea for a game that had been circulating around the office for almost 10 years – two guys wanted to be making a WWI game. We kinda mashed that and Battlefield together, and realised all these new vehicles, all these things you can do… it was a perfect fit. It was a matter of the right idea at the right time. The more we looked at it, the more obvious it became that this is where we needed to go. Q: How many concessions to realism did you have to make for the sake of gameplay? Aleksander Grondal: We always try to make a fun game first. We’re not making a documentary about exactly how it was, we are taking the things we want to have. However, all the things we are taking from this time are based on stuff that existed – all the weapons, vehicles and locations are based on real-world counterparts and draw inspiration from them directly. So, it’s a fun game, but it’s rooted in reality. A lot of research goes in, because WWI is perhaps a little bit unexplored in the pop media and in general awareness. So we have to take that journey, digging up what existed. Q: I suppose there will always be people who notice when things aren’t exactly right. Aleksander Grondal: That’s alright. We always have to take some creative liberties. It should be fun – that’s the most important thing. Q: They are very different games, but was there anything you learned from the Battlefront team that you could apply here? Aleksander Grondal: Yeah. We share the same technology base, and we share the same experiences. Our biggest learning came from things they did right, and things they didn’t get so right. It’s more about learning from experiences rather than sharing a specific feature. Q: Was there any experience they passed on to you that sticks out as particularly good or bad? Did they say “you should totally do this” or “you should totally avoid this”? Aleksander Grondal: They were the first game that shipped with physically-based rendering, they were the trailblazer there. So we learned as lot from them – how to build things, how to design levels. Q: Melee combat has been reworked for BF1. Can you please explain what’s new? Aleksander Grondal: We knew early on that we wanted to emphasise a little bit more on melee combat and close range combat. So we added a bunch of new melee weapons, and they all have different effects. Some are blunt, and blunt will do certain things in the world versus a sharp thing, which will do something else. So it’s how you want to use this, and what effect you want to have on the world around you. We also have the bayonet charge, where you get some extra speed and take down your opponent, which is pretty fun. Q: How will lobbies be handled in Battlefield 1? Server browsers? Battlelog? Aleksander Grondal: We’re not really talking about that stuff, but there will be a server browser in the game, Battlefield games have server browsers. I can’t really say more than that. Q: With environmental destruction being dynamic now, are "Levolution" events a thing of the past? Aleksander Grondal: I think that name maybe got hyped a bit much. 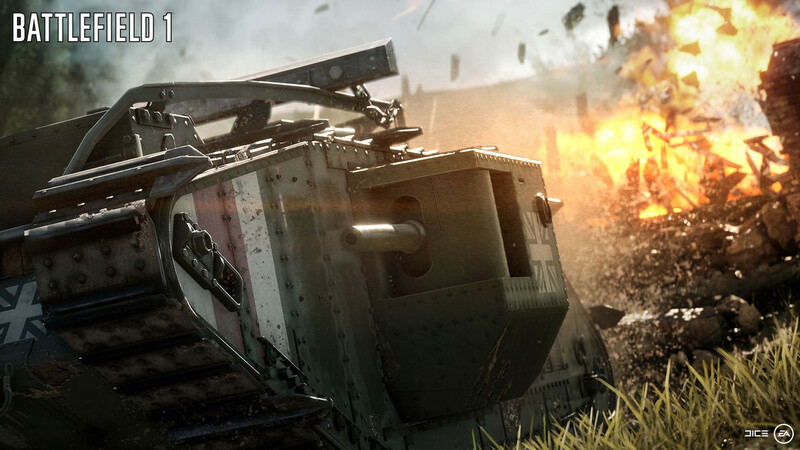 We are continuing to develop dynamic battlefield experiences. So we are adding dynamic weather, which will make you adapt how you play. We wanted to create a dynamic feel so no battle should feel the same – there should always be surprises around the corner. Q: Is DICE LA assisting on BF1? Q: Is there any possibility of cross platform play between consoles? Aleksander Grondal: That’s not really up to us, that’s up to the first parties. We’re not against the idea. Q: Will Commander Mode return? Aleksander Grondal: This time we are focussing on squad orders, so Commander Mode is not in the game, no. Q: Tell us about Operations mode. What was the thinking behind that? Aleksander Grondal: We wanted to take the idea of epic scale to a whole new level. Basically what you’ll be doing is taking part in an operation inspired by a real-world counterpart. What this means is you join as an attacker or a defender, and as you fight, the objective of the attacker is to push the defenders all the way out of the map. Then you progress to the next map. The idea is to create an epic journey that spans multiple maps. It’s also something that provides a bit more meaning and context for what you are doing, rather than a series of disconnected battles. Q: Will Gallipoli be one of those fronts? Aleksander Grondal: That’s something I cannot talk about. Q: Will there be any night maps? Aleksander Grondal: It’s important for us to provide a spread of maps from the big to the small, and many gameplay flavours. But I can’t confirm or deny whether there will be night maps. There will be a big spread of maps though. Q: Recently we’ve seen several developers take a hard line stance against cheaters. Are you thinking of instituting similar policies? Aleksander Grondal: We’re constantly looking at what the best approach is for cheating. While we haven’t settled on how this will work yet, it is obviously something that is important for us, and we want to make sure it is handled in the best possible way for our consumers. Q: What can you tell us about the single player campaign? Aleksander Grondal: What we wanted to do there is provide multiple stories that tell the stories of different people in several different locations, and provide different perspectives on what happened. It’s about how these people ended up in the war, how they changed, and how the world changed as a result. While they are separate stories, they are connected in a sense as well. They do have a universal theme. We are also trying to add more Battlefield in there. What we mean by that is: there will be more use of vehicles and gadgets, more openness, and it will be up to the player how they want to play. I think that’s something that fits well with Battlefield in general. Q: Battlefield 4’s launch was a disaster. What steps are you taking to make sure that doesn’t happen again? Aleksander Grondal: This is of course important for us, so we are having several tests. We are having an open beta coming later this winter, and we are taking lessons from teams that have shipped games since BF4 like Battlefront and Mirror’s Edge. We are doing everything we can to secure a smooth launch.